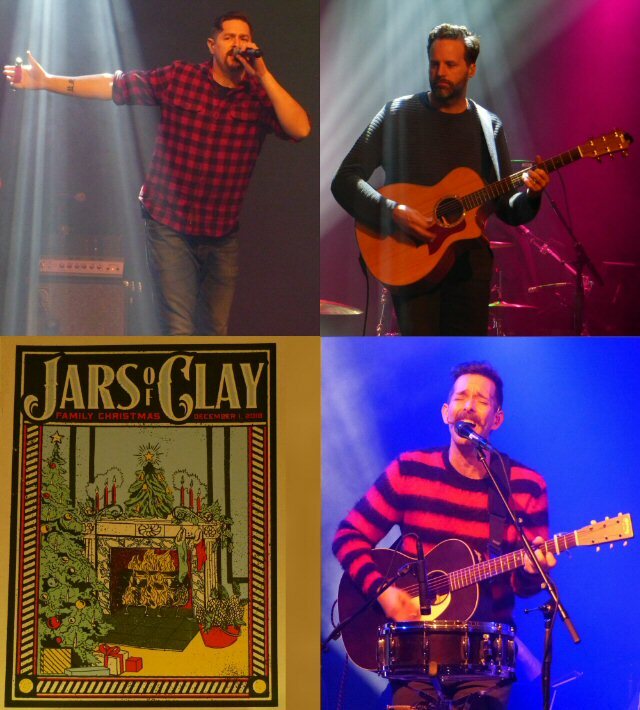 The award-winning rockers Jars Of Clay threw another festive Christmas party on December 1, 2018 in their hometown of Franklin, Tennessee. The sold out event was held at the converted industrial complex known as The Factory and the band were joined by friends and family to make for a memorable night to begin the busy season of giving. Jars Of Clay return to the stage in Franklin, Tennessee. Proving that they have a sense of humor J.O.C. billed the affair as their "one night only" Winter World Tour to Franklin and were joined by an impressive cast of helpers who got the show started. Being a regional neighbor of Nashville proper has its advantages as the slate of talent to open the show was as dazzling as the holiday lights. 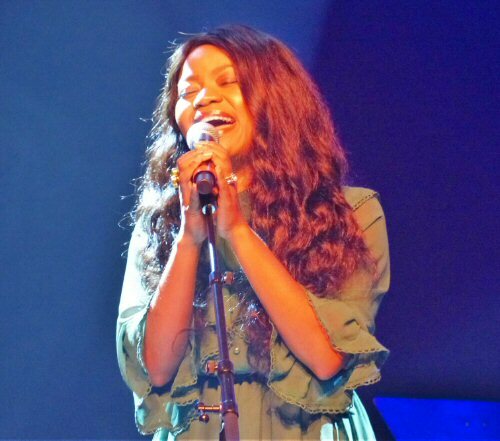 The engaging Alt-Americana group called SHEL, Ruby Amanfu, and Neighbor's podcast host - Jakob Lewis all answered the call with their stunning musical offerings. As for the headliners - their status as a viable working unit remains unclear - although glimmers of hope emerged throughout their closing set. As their above comment implied the band has been mostly dormant since their last full-length release that was 2013's critically-acclaimed Inland. Their lead singer's well publicized remarks about tolerance and acceptance were not accepted too well by their core base in the CCM world. So, the guys have been forced to retreat inland as they continue to find their way in the ever-changing music industry. "Sometimes the songs can be prophetic," stated Dan Hasteltine after Jars Of Clay performed "Goodnight, Goodbye" during their encore that included the track that got things flowing in the first pace - the always powerful "Flood" that washed over the fans who were now on their feat at the sold-out venue. SHEL from East Nashville by way of Colorado returned for their second year. But, the band hasn't completely closed the door on a return to music. They announced from the stage a presale on a vinyl edition for the 20th Anniversary release of their ground-breaking third album, If I Left the Zoo. As an extreme incentive and a bountiful bonus the guys promised anyone who made the purchase on this night a "golden ticket" to see the group play a live rendition of that record early in 2019 at their home studio in town. Jars of Clay is Dan Haseltine, Charlie Lowell, Stephen Mason and Matthew Odmark. As great as their music was it was their good works in support of their own Blood:Water charity and Project Cure that took center stage as beneficiaries of the Franklin faithful's attendance and additional generosity. 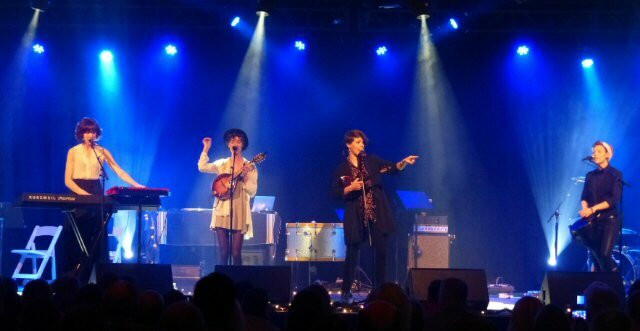 On a cold night in December the quality quartet reminded the world of their impressive musical gifts. We hope their star will shine bright again soon because the impressive turnout to Liberty Hall provided proof that their music still brings joy to the world. Ruby Amanfu was the real deal.